Oh, what an awesome gift! 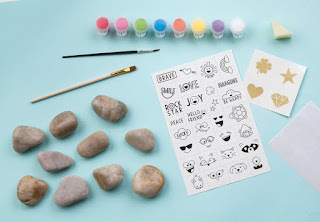 Of course, I love that it is a craft first, but what a really cool way to encourage a hide and seek game that truly the whole family could play. I would say it is ingenious marketing, but that sounds too artificial. It really is a great idea and an awesome way to encourage kids to play outside again! It's also a creative craft for 'inside' days too, Mouse. David and little brother are enjoying this creative kit. Thanks for visiting. This a a great project for kids and Adults! For the city kids it is good it comes with the River rocks. On the next outing to the River area the kids could collect more Rocks also and more paint from the craft store to do more projects. I used to collect Rocks. My friend in Canada regularly paints rocks for her garden with her Grand kids. Awesome review and ideas!!!! Thanks, Sherry. I liked the idea that the kit came with the basic contents (rocks, paints, etc.) needed to get started. And it's neat that by collecting more rocks and getting more craft paints, this is a project that can be continued and done anytime. Thanks for your visit. Mel, how cool to hear about your Peace Rock project. I can see how rewarding such a project would be. 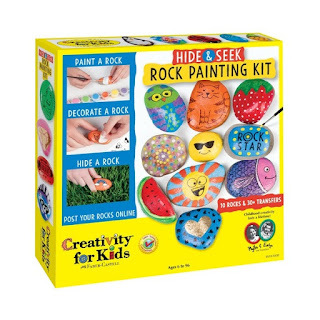 I was drawn to this kit for my 8-year-old grandson because he likes to paint and draw, but the hiding of the painted rocks I thought would appeal to him too. I am going to look into this Peach Rock Project and perhaps add a link about it to this article. Thanks so much for telling me about it. What a neat gift idea for a child! Even unartistic me would have enjoyed it. I know my kids would have loved it, since they were both artistic. My son would have loved hiding the rocks for people to find. I also would have enjoyed looking for the rocks hidden by others. My grandsons are enjoying this kit, Barbara. I think it's a project that would be fun for any child, artistic or not. Thanks for visiting. I hadn't realized that this could be purchased as a kit, very helpful to me as I've wanted to purchase it for my step-grands - saving it to my gift list, thanks for this! Delighted I gave you a good gift ideas, Barbara. 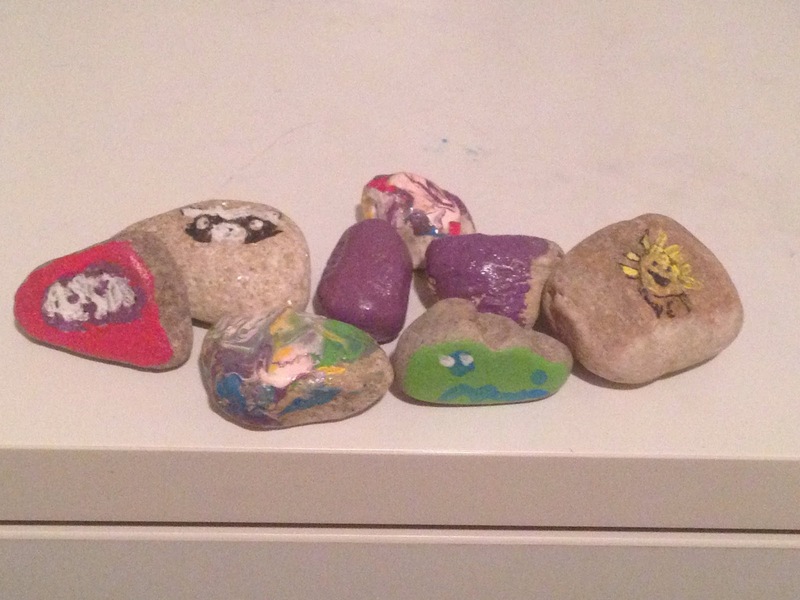 I the collection of painted rocks that your grandsons have created! Thanks, Brenda. 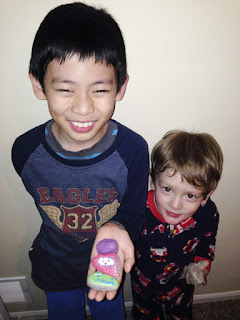 I had to get my son to take a picture for me of this group of finished painted rocks so I could show them off in this article.